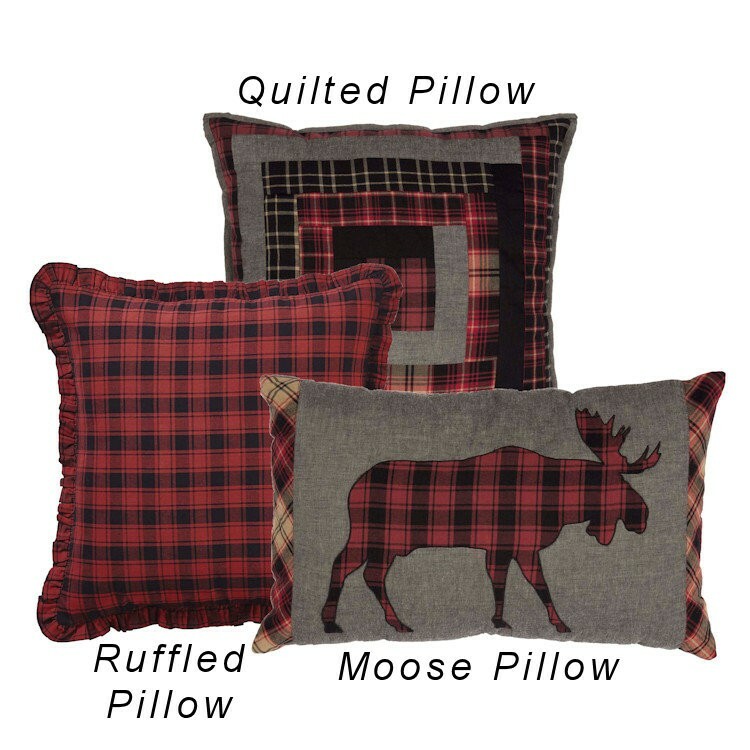 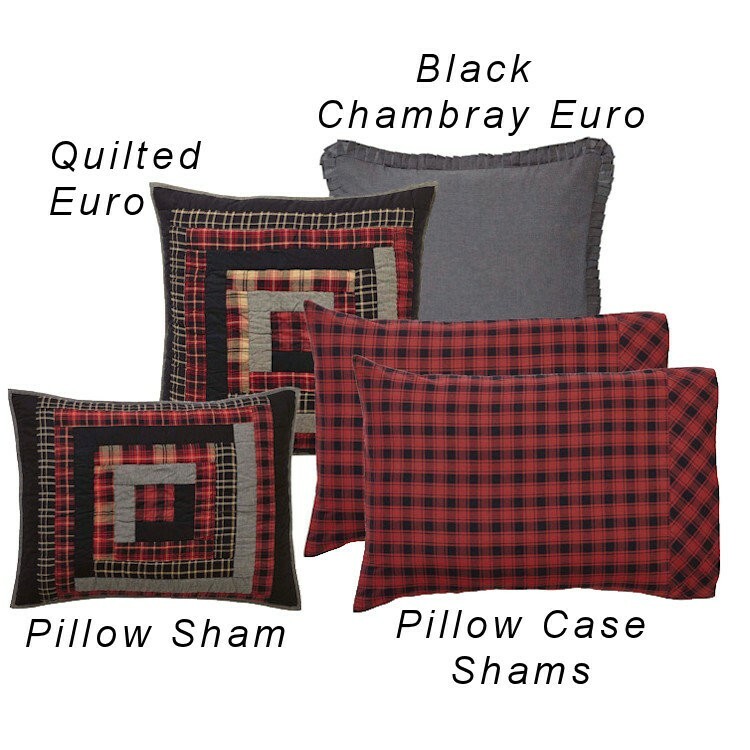 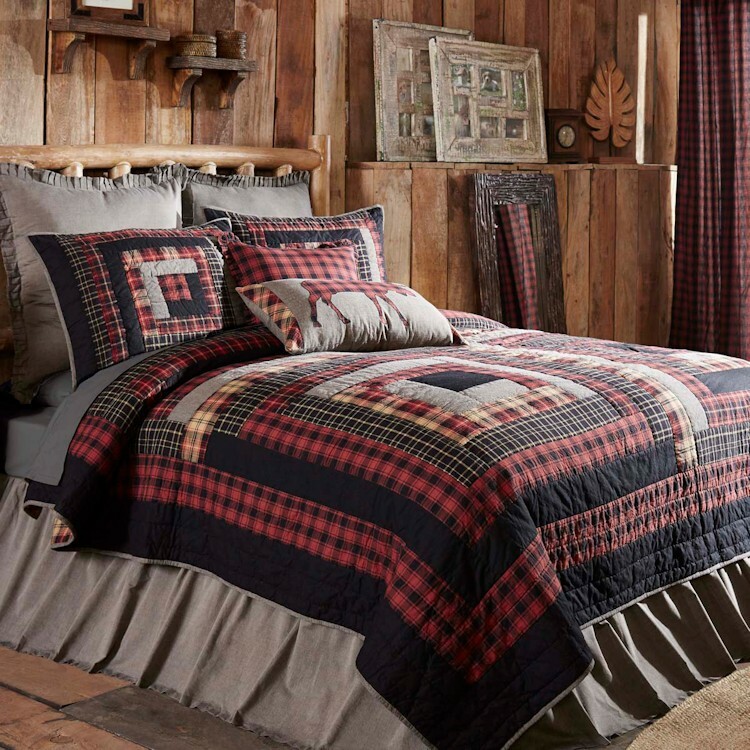 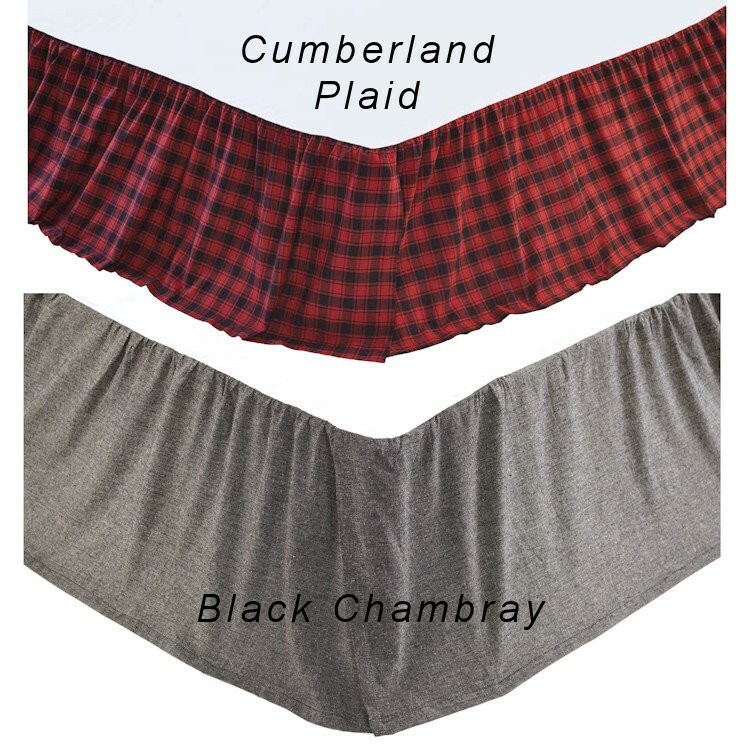 Bring log cabin charm into your room with the Cumberland Quilts. 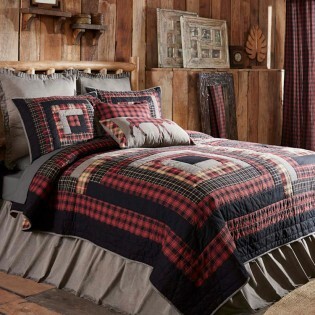 Chili pepper reds, caviar blacks, and natural tans make these quilts a woodcutter's dream. 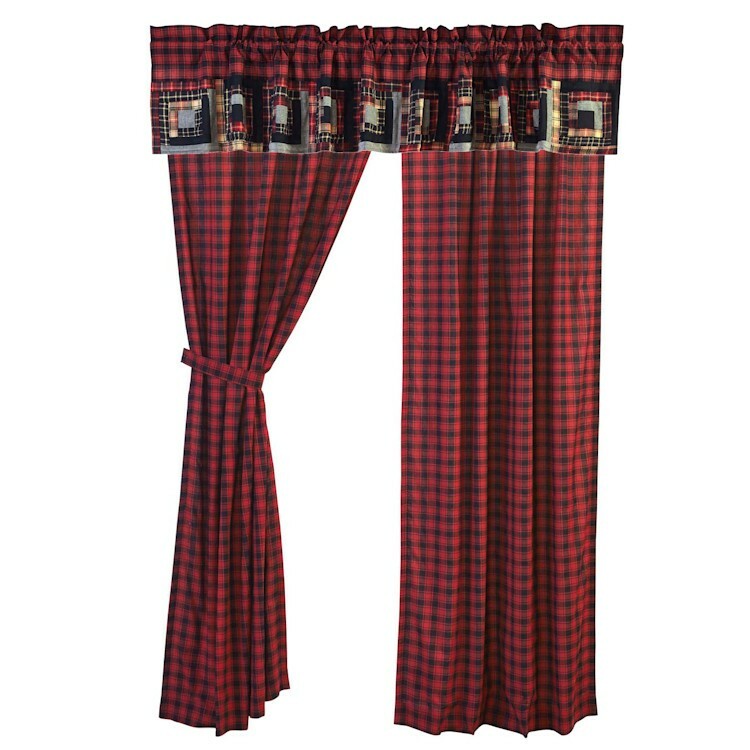 Be sure to add shams and a bedskirt for a unified look, and don’t forget the pillows, valances and coordinating drapes for the windows.